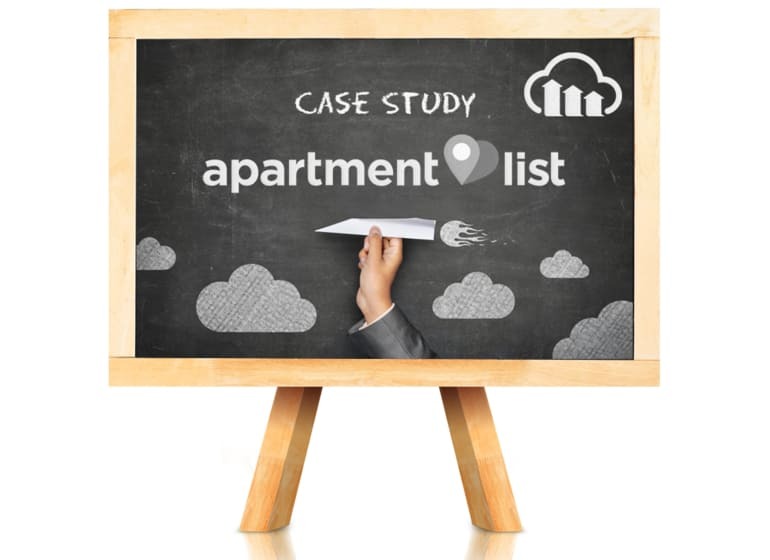 When Apartment List was creating its first website in 2011, their developers quickly ran up against a significant challenge: achieving the scale needed to upload millions of images of apartment interiors, property exteriors and other images from clients and deliver them to potential renters using the site. Storage was another concern. Apartment List received thousands, sometimes millions, of images at a time, so it needed a reliable storage platform that could handle the library of images and properties listed on the sight as it grew. After about six months of attempting to get its system to work seamlessly, Apartment List decided to revisit its processes and find a better solution for image management. Enter Cloudinary. “Cloudinary gave us an end-to-end solution that provides us the storage we needed, while automating image transformation and supporting faster delivery,” said Nemenman. Cloudinary enables Apartment List to effectively take any image format – JPEGs, PNGs and others – in a variety of resolutions, and transform them all into a format that works best for each browser or mobile client. Apartment List picks up data feeds of images from all of the apartment communities featured on its site, and uploads them into Cloudinary. After being given a unique ID, each image undergoes different transformations so it can be used in mobile and desktop versions of the site. With Cloudinary, Apartment List also is able to filter out low quality images (low resolution, pictures of people faces, logos, etc.) and label pictures to help identify the features of the apartments being shown. use of Cloudinary. After a smooth, short transition from its home-grown system to Cloudinary’s cloud-based solution, Nemenman estimates that the automation has saved the equivalent of one full-time engineer managing day-to-day operations, and thousands of man-hours required previously to transform images. 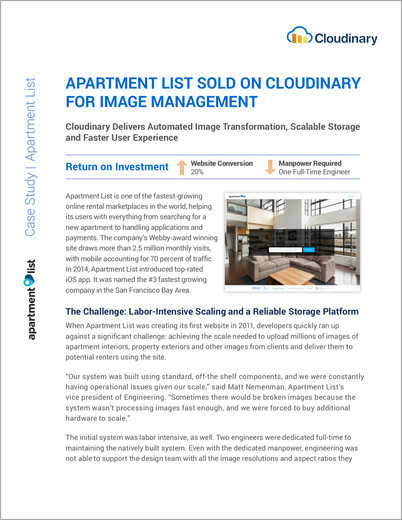 “Cloudinary has allowed us to solve our operational issues, produce various resolutions of images and cache them at endpoints closer to the end user for an optimal user experience,” said Nemenman, noting that after launching its native iOS app in 2015, Apartment List received positive feedback about how fast images loaded.